Music on Special Offer Thread? I am wondering if it would be legit to have a thread in here dedicated to music album downloads from legitimate retailers that are currently on special offer. As an example I was just looking through the what are you listening to mega thread just now and came across the Melody Gardot record because someone was listening to it. I have wanted this for a while but it was always expensive (about 20 quid). On a whim I went over to a place I usually go to buy music downloads and by a blind stroke of luck it was on special offer at just over half price. Deluxe edition is cheaper than the standard edition! I bought it straight away. So I thought it might be a good idea to have a thread dedicated to posting albums that are on special offer at the moment with not-so-subtle hints as to where you could get them from, when the offer expires and how much is knocked off etc, so people could see instantly anything that was on special. It would certainly be a thread I would come back to often. I did a search and couldn't find anything like this in the forum, but usually the searches on these forums are rubbish so this is not a guarantee! There might need to be a few rules, e.g. the poster has no affiliation with the seller, only legitimate download shops / sites etc. Good idea thanks. Tips should ideally also include the country limitations. Qobuz have still got the Steve Reich ECM recordings for about � and a five album Charles Lloyd set for �. If Richard is ok with the idea maybe he could edit the thread title and this becomes the thread. Now I go through the same process on-line with Qobuz, HD Tracks, HighRes Audio, 7Digital, Bandcamp and JunoDownload........ and moan about the cost of downloads as I did with the cost of CDs when they came out - Same as it ever was! Bought the long awaited Neil Young - Time Fades Away a few weeks ago on 24bit for about � only to find it on special offer a day later on another site for a tenner. So I like the idea posed by SJT. This year, my musical awareness & appreciation has been expanded by the Australian Trio - The Necks. In the space of two months, I accumulated 10 albums, 4 of which came from the offer below. Seeing them 'live' was also a mind blowing experience, which I will repeat next year. Anyway, lots of 'different' music to explore from an excellent music retailer. "Many of our best releases are just sitting on the shelf here because money is tight and mostly people are buying only what they know. And then we haven't had an ReR sale for a few years. So, to make experimental listening a bit more practical while the government fails to see the elephant in the room on the economy, all the listed titles are yours for �each - so long as you order a minimum of four (�) (otherwise the new, opportunistically unhelpful, postage costs make it impossible). (some non-ReR titles also available as part of the sale)." I've just grabbed the new Mark Pritchard and Oneohtrix Point Never, but there are recent Eno, Aphex, Julia Holter and other weirder stuff too. On Qobuz in16/44 Shostakovich complete string quartets, by the Brodsky Quartet, a very recent release on the Chandos label, just �.99. Lovely recordings which have had favourable reviews. On Qobuz - The Doors, The Complete Studio Albums - 24/96 for �.54. A bargain! Great steer that - I got the mark pritchard under the sun record 24 bit for a fiver. Its top class. Thanks! Another Bleep one day digital sale, left field yes, but some great stuff too. On Quboz - Bob Dylan - The Original Mono Recordings - 10 CDs/94 tracks in CD quality 16/44.1 for �.69. Only for 4 more days apparently. That is some very nice pricing !! Julia Holter 24/96 �99 ! 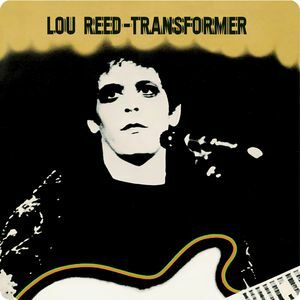 Lou Reed: Transformer 24-bit � 96.00 kHz on Qobuz, ten days left to buy at �24. <label for="order49641312" title="Hi-Res mit Qobuz Sublim (24 bit)">Hi-Res mit Qobuz Sublim 39,89 Fr. 53,19 Fr. </label>First is sale price and then "normal" price. Firstly thanks to Gary Shaw for pointing the way to Bleep.com a new one for me and great 24-bit offers. Just had a massive scoop on Qobuz (Christmas present to myself). Some wonderful offers there on the Stax label - picked up Ann Peebles, Albert King, Booker T and the sublime Don Nix album 'Hobos Heroes and Street Corner Clowns' - so good that Beck, Bogart Appice covered two songs off this album. Then things started to get ridiculous when I found on Qobuz the entire Lou Reed RCA/Arista 17 album set on 24 bit for - still can't believe it - �39 !!!!!!!!!!!!! I thought the decimal point must be in the wrong place. Also, got Van Morrison's expanded live set It's Too Late to Stop Now on 24 bit for �.77 another massive saving. Great news on those Lou Reed downloads.... off to find it now.. If you like Jazz Highresaudio.com have a free studio master album until 25 Dec.